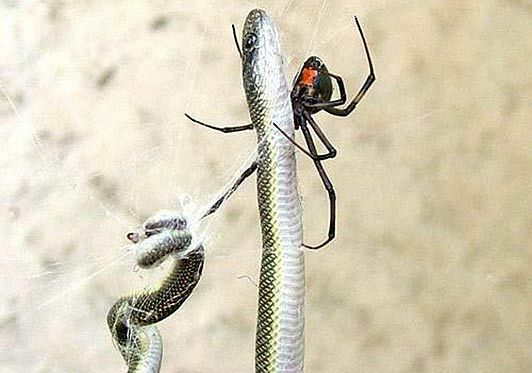 Within the next two days the spider lifted the snake up to the ceiling and then started to slowly eat its prey. 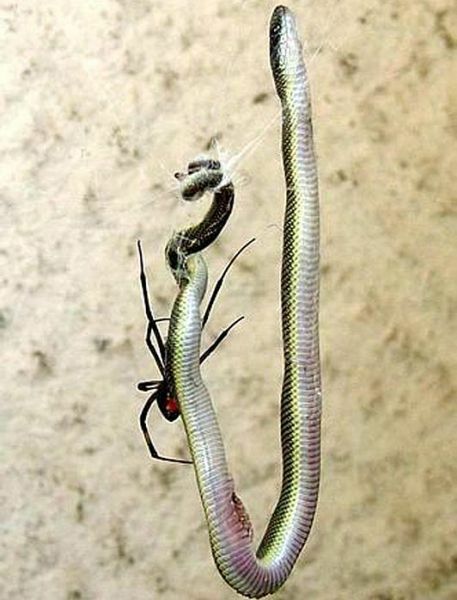 The scientists identified this snake-assassin as the brown button spider. 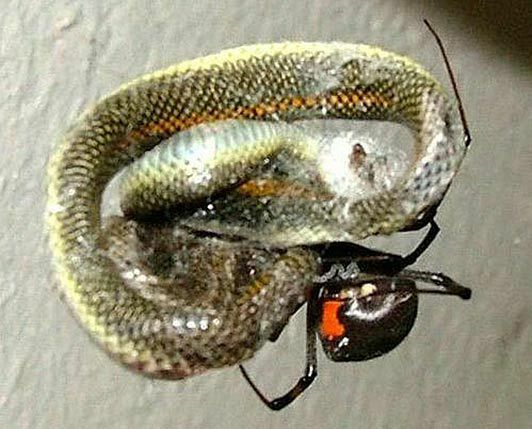 It is widespread in various parts of the world, including North America and has neurotoxic venom that is as toxic as the black widow's. 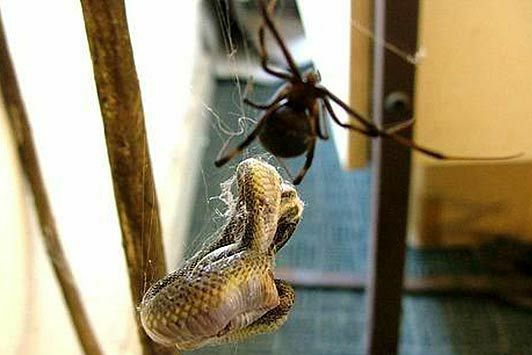  However, it is the first time when the fact of a spider eating a snake is documented.